Tenkara fishing is an ancient angling method, still relatively new in the US. While its own style of fly fishing, it is a great tool for the techniques of close-up nymphing, soft-hackle wet fly-fishing and virtually drag-free dry fly fishing. It’s also a great way to get newbies engaged in the tradition of fly-fishing, to catch your own food while backpacking, or to simply enjoy the fishing experience. Presentation – With the light line, the ability to hold the line off the water and a fly in place over difficult currents increases – precise casting and great control of the fly become a great advantage. Simplicity – Only rod, line and fly are used. The line is attached directly to the lillian on the tip of the rod, tippet is attached to the end of the Tenkara fishing line. Familiar but Different – As in western fly fishing, the line propels the weightless fly to the desired target. There is a fly-casting technique involved – just a bit slower, and with a shorter casting stroke. Intuitive – Landing a fish is very intuitive and similar to any type of fishing with a rod: one simply raises the rod high, and reaches for the fish. Accessibility – It’s also a great way to get kids and beginners engaged in the tradition of fly-fishing, to catch your own food while backpacking or to simply enjoy the fishing experience. Why choose RIGS for your Tenkara guide service? 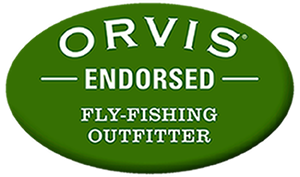 RIGS Fly Shop was the FIRST Colorado Tenkara Fly Rod Dealer with Tenkara Guide Network Certified Guides since 2011. Our professional guides are teaching focused with extensive experience in the field and the tenkara fishing approach. We offer 1/2 Day Trips, Full-Day Trips, and 2-Day Backcountry Overnights in the tenkara style. We loved tenkara so much we created the first tenkara Floating lines and Nymphing lines that have been popular since 2012! Choose from our ½ Day Tenkara, Full-Day Tenkara and 2-Day or 3-Day High Country Tenkara trips (guides choice waters) on premiere rivers in the region ideal for the Tenkara technique. Order Online 24/7 at our NEW secure Online Store, the complete Tenkara USA line of products. *TENKARA rods, lines & accessories, plus any additional trip needs, can be purchased prior to your trip at our Full Service Fly Shop or at our Online Store. Located within one hour of Telluride, Ouray, and Montrose Colorado. Directions to Fly Shop. Check out the complete list of all of our TENKARA Guided Fly Fishing Trip locations by viewing our Guided Fly Fishing Page (Tenkara Trips are booked as “Guides Choice”, all locations available upon request).